Cogent Systems announced the acquisition of Maximus’ Security Solutions Division for $5 million. The division provides ID management and credentialing integration services, security consulting and custom web application development. The group also has developed logical and physical access integration with Department of Defense Common Access Card and Personal Identity Verification cards. 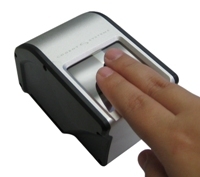 With more than fifteen years of experience designing and implementing multi-technology and multi-application smart card systems using biometric technologies, the division adds to Cogent Systems’ ability to provide ID system integration services to federal civilian agencies and military departments, state and local governments, and international customers. The division also has designed and operated ID management infrastructures and services for e-Authentication and health care eligibility cards.